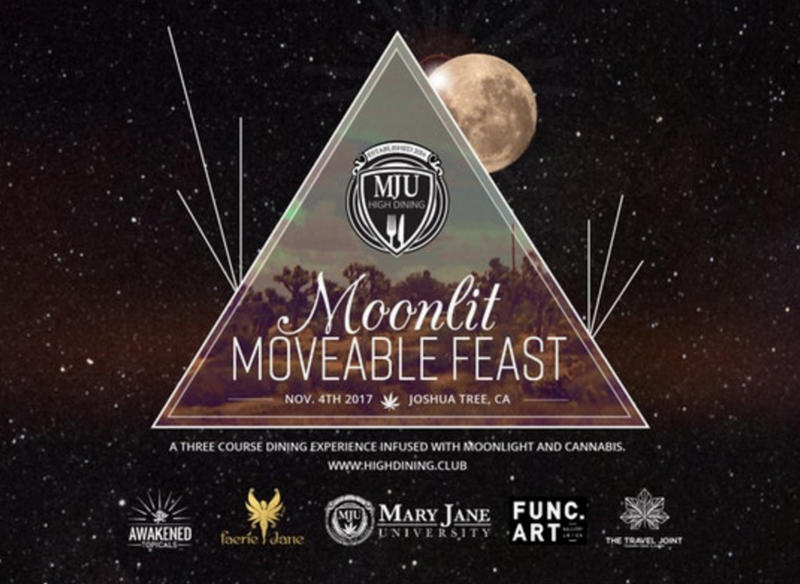 This edition MJU High Dining’s Moveable Feast is held on a Moonlit night on an artist’s studio/compound that borders the Joshua Tree National Park. Spectacular views of the Sunset and Moonrise will be had by all. This event features two seatings. Explore works of art and epic views while enjoying a refreshing welcome cocktail by Alchemist, Levi Strom of Awakened Topicals. Event is strictly 21 and over. All participants must have a valid MM Dr. Recommendation. Join the HIGH DINING CLUB! Membership is free and comes with advanced notice of events, premier gift bags, and discounts on tickets.